Wedding season has begun in earnest in the Northeast. I’m hoping for lots of couples to include their best dogs in their wedding ceremonies! I am crazy for this touching portrait by Mark Dickinson Photography. To see more of this wedding (including some terrific dancing in the rain photos) check out the full feature on The East Coast Bride. Three cheers for Katie and her husband, in lieu of favors they made a donation in honor of their guests to Best Friends Animal Society. You can see more of Mark’s photography on his blog. About Mark Dickinson Photography: Serving Central Florida, Mark Dickinson Photography consists of a team of 5 photographers available for weddings and commercial photography. We hope you have a happy weekend and enjoy this week’s links! 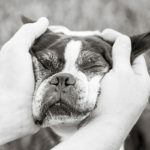 If you have a dog friendly workplace this contest might be for you: Bark’s Best Places to Work. I love this T Shirt! Nat from Photo Lab Pet Photography wrote a beautiful promise to Willow and it is now on a t-shirt from Dog is Good. 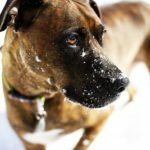 Are you and your dog up for the K9 Kamp Challenge? Make June 11 a Great Day to be an Adoptable Pet! If you have an upcoming event and would like to see it posted here, email rescue (at) dailydogtag.com. 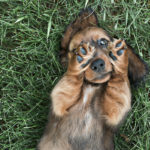 Beautiful photo, and thanks so much for sharing the link to the shy dog resource page! Happy weekend! Thank you for the feature. We loved being a part of Katie and Jeff’s special day! 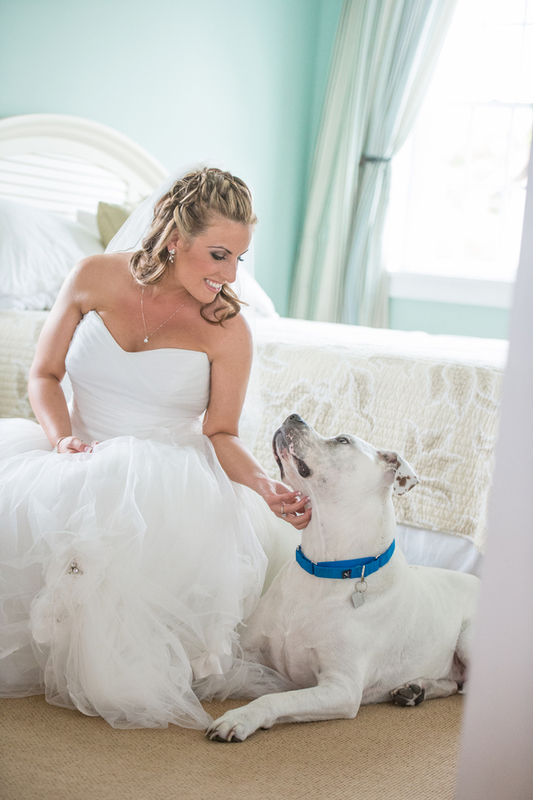 We hope that more brides and grooms include their fur children in their special day if their venues allow! Stunning photo Mark. Thanks for sharing. The shy dog info is very helpful. LOVE this photo, and am totally loving the dog and cat beard trend… too funny! I also am crazy about that great video… so adorable!.